Woven geotextiles are some of the strongest fabrics and most durable fabrics available. Because they are dimensionally stable and have a high grab tensile strength, they used for a wide range of applications. These include mining, heavy duty reinforced soil applications such as road stabilization, ground stabilization, railroad support and aggregate separation and rip rap support. Woven geotextiles are made from individual threads of polymers, be they monofilament, multifilament, fibrillated yarn, slit film woven on looms. 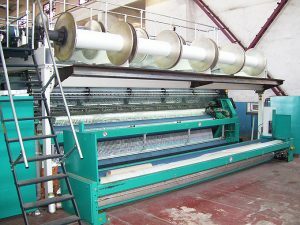 The weaving pattern and material have a direct influence on the physical, mechanical and hydraulic properties of the fabric. They typically exhibit high strength, high modulus and low elongation. As filters, woven monofilament geotextiles have superior resistance to soil and biological clogging. As separators and stabilizers, they prevent contamination of base material and add tensile elements to soil and fill material. Geosynthetics Australia supplies woven geotextiles in a variety of styles to fit specific project needs. Their high load capacity makes them good for applications like road construction. 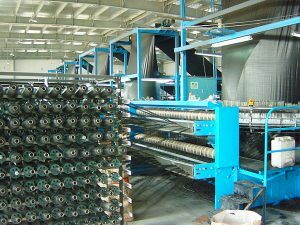 However, wovens are not very porous and are unsuitable for projects where drainage is important because water will pass over the surface without draining through to the soil below.